Apple’s latest iPhone event is more about the iOS 5 software when compared to hardware enhancements. 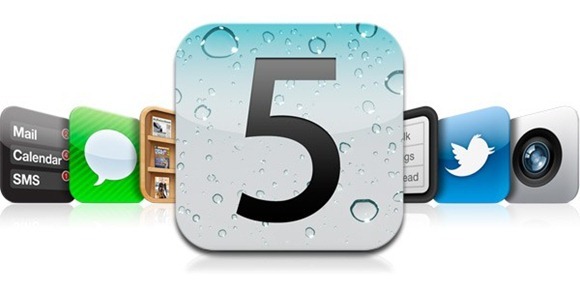 iOS 5 has tonnes of new features and it’s available to all the iPhone 3GS, iPhone 4 & iPad users. Upgrading your iDevice to iOS 5 is no brainer, it’s has loads of very useful features that makes your smart iPhone lot more smarter. Download iOS 5 if you have not yet and here is are the list of hidden/less spoken features of iOS 5. 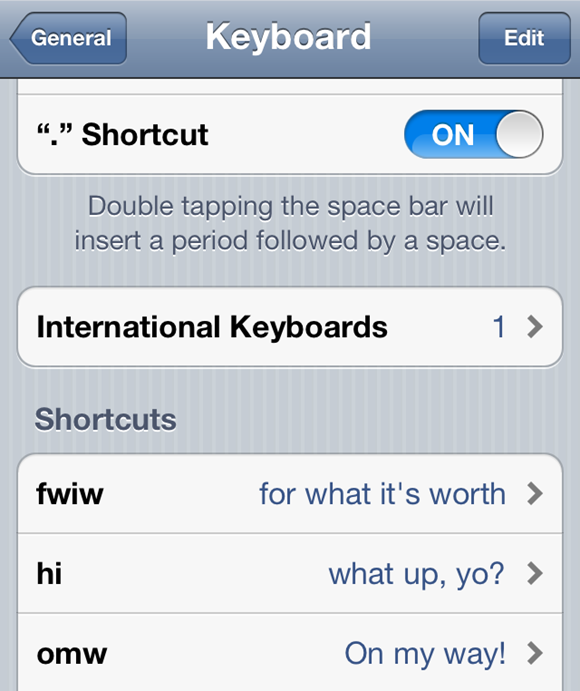 Keyboard shortcuts of iOS 5 lets you set small keyboard shortcuts for the lengthy phrases you type often. Let say if you type ‘omw’ iPhone can automatically expand it to ‘on my way’, thus saving lot of your time. Are you worried about over data usage and heavy bills? Now you get a report of Apps that are consuming more data and start monitoring them. 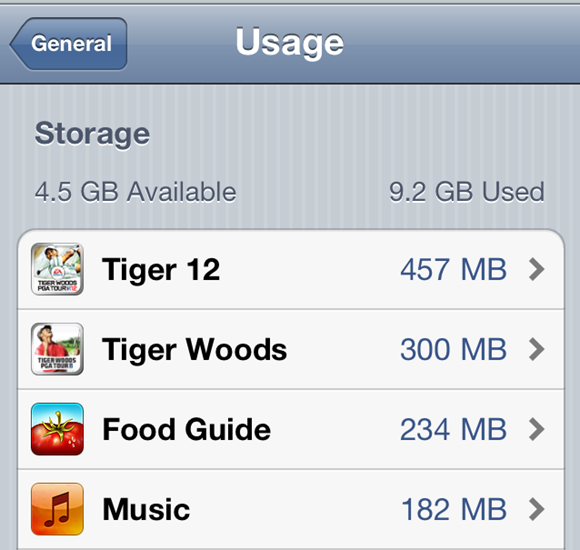 The report shows the total Data Usage and list of Apps ordered in the descending order of their data usage. You can tap the App and uninstall if it’s an offender. If your family is an iFamily, I mean many of you owning iOS devices, then likely you share single iTunes Account / Apple ID so that you buy Apps, Music & Videos once and access them on all the devices. Sharing Apple ID across the devices is a good option as it saves lot of money, but it’s not a good idea to share iCloud accounts on all the devices as each of you want to maintain your own contacts, calendars and other personal stuff. The good news is that you can continue to share an Apple ID for iTunes purchases with your family while maintaining individual, separate iCloud accounts. 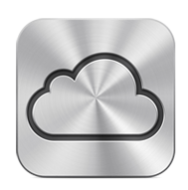 Here is a guide from MacWorld on how to configure individual iCloud Accounts while Sharing the Apple ID. Are you bored with the traditional phone alerts like sounds, vibrations and popups? Here is a new feature introduced in iOS that flashes Camera LED when you receive a mail or message. That’s nerdy, uh! By going to Accessibility menu in General Settings you can turn on LED Flash alerts when the Phone is in Silent Mode. 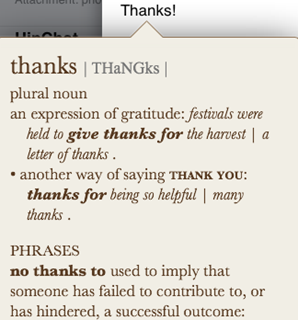 iOS 5 brings system wide dictionary that lets you lookup words and get detailed information about it from anywhere. The dictionary definitions are quite robust with complete definitions, usage examples and often with the information on word origin. To active dictionary, hold a word till you see options and select the “Define” option. Personally I love this feature as often I go to Google to lookup for new words I come across. Wish Windows 7 too have this type of options! Want to snap a photo quickly while you are fiddling with your headphones? Just click on the Volume Up button and your phone camera quickly captures the image in front of it. Almost all the modern desktop browsers these days support private browsing – your browsers stop tracking the sites and thus you don’t need to clear history when you are browsing something fishy . This features is called with one among the multiple names like InCognito mode, InPrivate browsing, blah, blah, blah depending on the browser you use. Now iOS 5 Safari browser lets you browse in Private Mode. This brings the same advantages of desktop browser’s private browsing. « When Dehydrated, Drinking Sea Water Is Very Dangerous. Deadly! Short-cuts is my fav feature listed here.